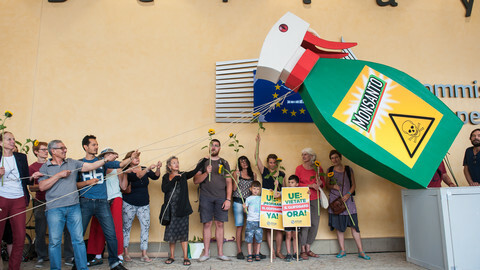 Members of the European Parliament's environment and health committee adopted a text on Thursday (19 October), calling on the European Commission to withdraw its proposal to renew the license for glyphosate for a period of ten years. The text was adopted with 39 votes in favour, nine against, and ten abstentions. 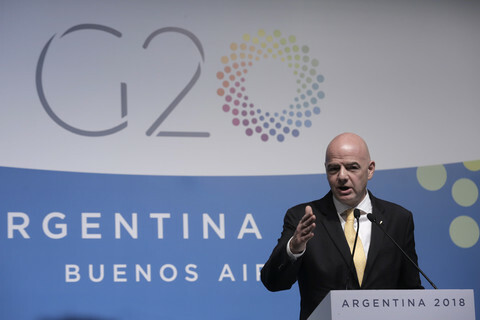 They said that the commission's proposal failed "to ensure a high level of protection of both human and animal health and the environment" and "to apply the precautionary principle". 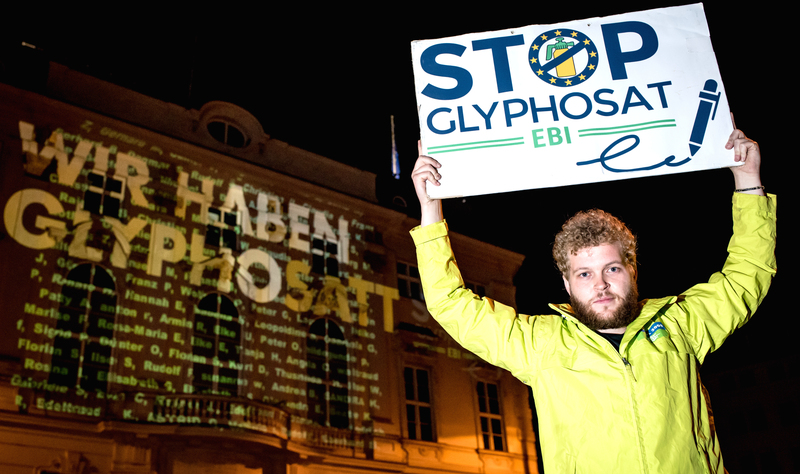 It called on the commission and EU member states to "phase out" the use of glyphosate by 15 December 2020. 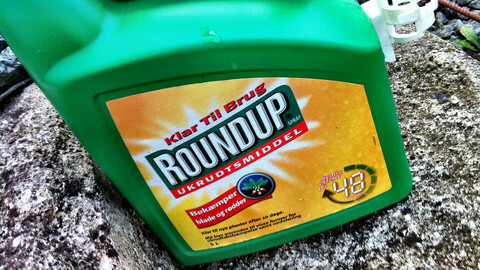 Glyphosate is a weedkiller used in Roundup, which is a product of multinational Monsanto. Although the European Chemicals Agency (Echa) and the European Food Safety Authority (Efsa) have concluded in their scientific assessment that a renewal of the license is safe, environmental activists and MEPs - mostly those on the left side of the political spectrum - have called the evidence into question. The text adopted by the parliament committee on Thursday referred to studies that were reportedly written by Monsanto, and used in the EU assessment. Monsanto documents released in the US "shed doubts on the credibility of some studies both Monsanto-sponsored and presumably independent, which were among the evidence used by Efsa and Echa for their evaluation of the safety of glyphosate". But according to the European Commission, the same conclusion - that glyphosate is safe - would have been reached without those contentious studies. Before the vote, left-wing Dutch MEP Anja Hazekamp said the EU commission "wants to keep this poison available on the market no matter what". She said she preferred glyphosate to be taken off the market "today", but said a three-year phase-out period was "most feasible". However, British MEP Julie Girling of the Conservative party and the European Conservatives and Reformists group, criticised the resolution's text and the underlying arguments, which she called "emotional" and ignoring "scientific evidence". She debunked the text's supporters' argument that action should be taken because 1.3 million European citizens signed a petition calling for the substance's ban, calculating that they only represent 0.28 percent of the total population. "It is unreasonable to say that Echa and Efsa have not looked at the evidence. They have, and have given us good reasons why they recommend a renewal for ten years," she said. Girling said the text would make a "laughing stock of the parliament". 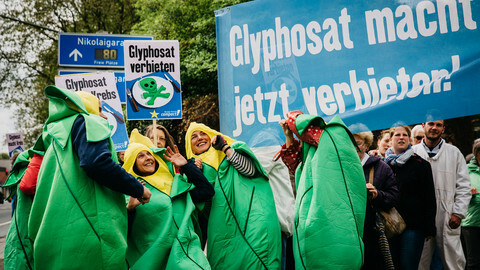 Her colleague from the centre-right European People's Party (EPP), German MEP Peter Liese, said the request to phase out glyphosate over the next three years was a "contradiction" to an earlier resolution, adopted by the whole parliament. 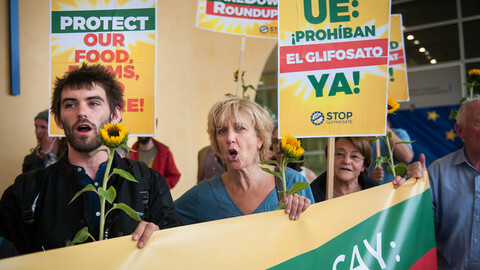 In April 2016, the plenary adopted a text saying that glyphosate's license should be renewed for a period of seven years. That resolution was supported mostly by the two largest political groups, the EPP and the centre-left Socialists & Democrats (S&D). Thursday's committee vote will now go to next week's plenary session, for a vote by the full house. The committee vote's outcome is no guarantee for how the whole parliament will vote. Past experiences have taught us that the environment and health committee MEPs are often more "green" than their non-specialist colleagues. However, in the end, the resolution is not legally binding. 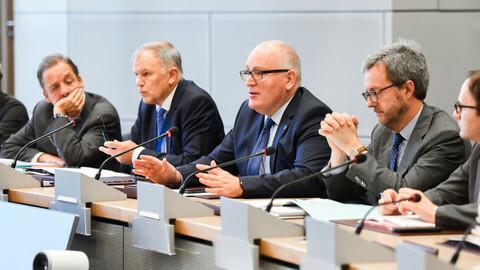 The EU Commission proposed to renew the licence for the weedkiller for a period of 10 years, instead of 15, and asked member states to give their comments. 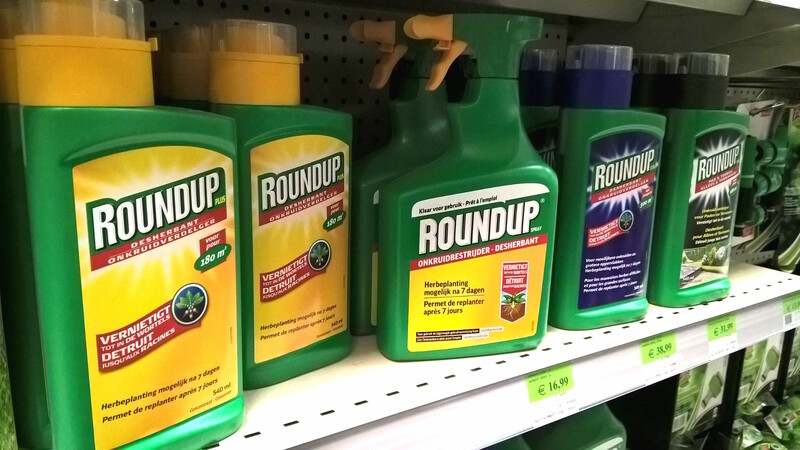 Despite the discussion with concerned citizens, the European Commission is continuing with a committee meeting on glyphosate this Wednesday.